Remember the days when your teacher would give you a gold star for your hard work? Well, those days might be gone, but you can recreate the feeling with this eftpos gift card. Give it to a star staff member, or use it to reward a winning competition entry. Our cards make an ideal incentive thanks to their perhaps unrivalled appeal: everyone wants a little extra cash! And, as they can be spent anywhere eftpos is accepted, they perform almost exactly like cash. 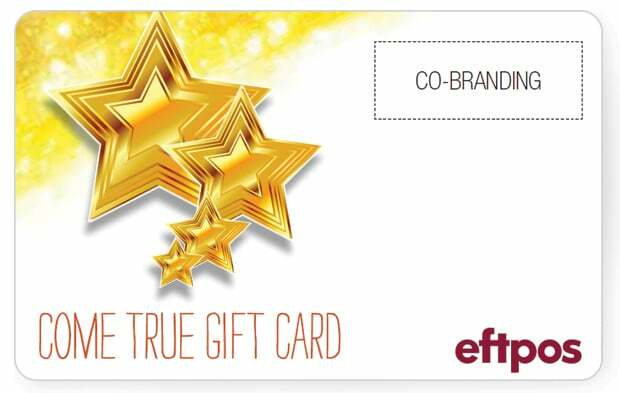 So, next time you’ve got to give out a little gold star, think of this little gold eftpos gift card and get in touch!